Summer is finally here. The mercury has risen, the winter jackets are gone. Who wouldn’t want to take a nice dip in the pool? Or enjoy sunbathing poolside? A fun and relaxing time by the pool is a great Australian summer past time. Relaxing by the pool lets us forget about the worries of the world, and transport us to a place of bliss. A beautiful pool enhances this escape, providing comfort and serenity. 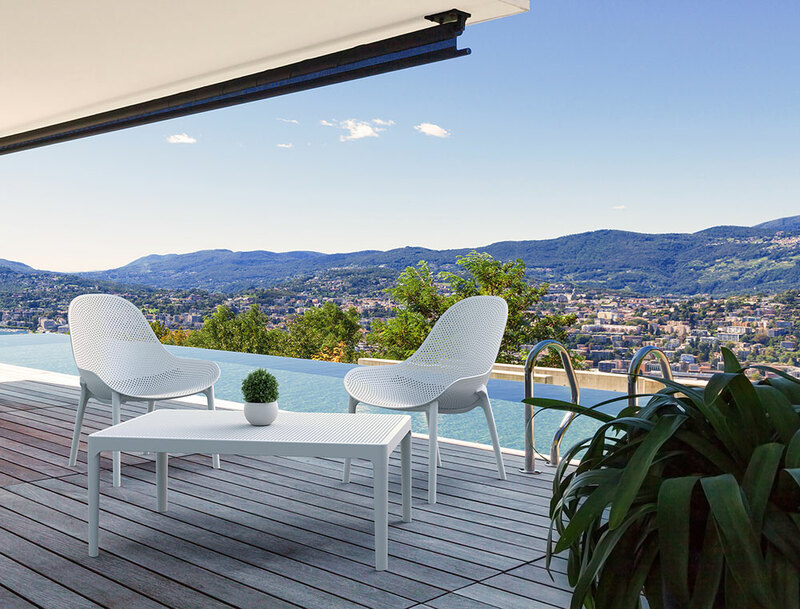 But with Australia’s harsh weather conditions, it is critical that we utilise quality outdoor furniture that has been designed and made for our conditions. Furniture that will not fade or deteriorate in the sun. That’s why we offer a variety of hospitality furniture that is perfect for the scorching weather brought about by the summer season. Our range of products do not only add style to the pool area, but also stay sturdy no matter the climate. Our outdoor furniture products are not what you can call typical. They are made from polypropylene, a special type of plastic that is tough and elastic. Polypropylene makes our furniture weather-proof, durable and lightweight. Packed with UV stabiliser, our polypropylene chairs and tables will not fade or go brittle even in the sunniest weather conditions. We also have stools that are perfect for outdoor bar facilities. You can learn more about our variety of polypropylene furniture here. The pool area isn’t complete without sun loungers. 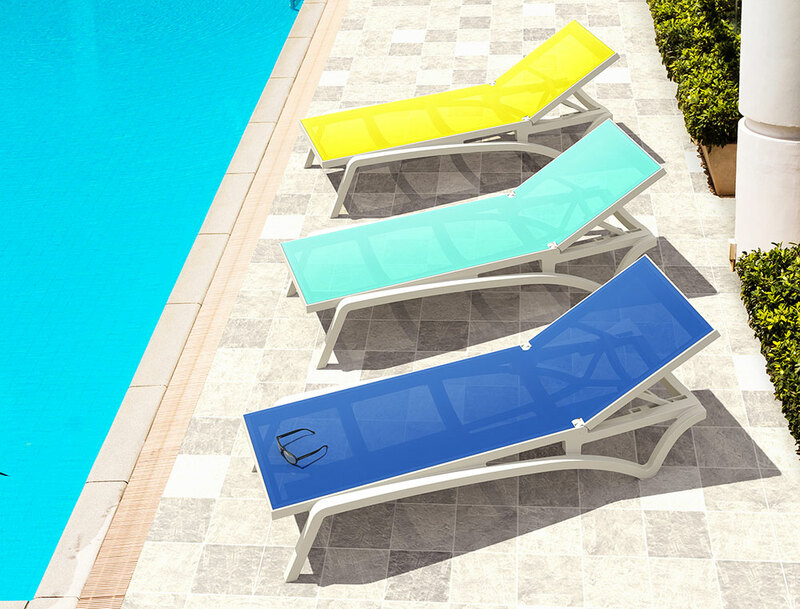 Made of UV stabilised polypropylene, these sun loungers will never unravel, rust or decay. We have four different kinds of sun loungers that you can choose from. Our Pacific Sun Loungers include extremely durable and breathable synthetic fabric covers. Available in a range of bright and fashionable colours, these lounges are designed for summer. You can learn more about our sun loungers here. Our line of Resin Rattan Furniture is known for having a sleek profile that is pleasant to the eye. This makes our furniture look as charming as it is functional. They instantly add class to any poolside. Constructed with reinforced glass fibre, this furniture is strong with a boosted weight capacity. Read more about our resin rattan furniture here. UV stabilised and weather proof, our poolside furniture is guaranteed to stay sturdy and vibrant despite harsh weather conditions. This also makes our products very easy to clean and maintain. 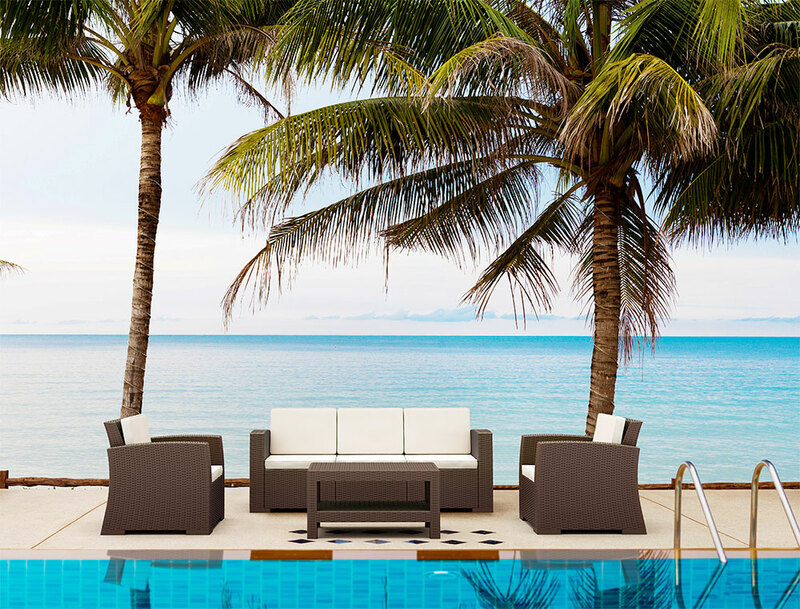 With their impressive profiles and durability, our outdoor furniture is sure to provide an inviting and relaxing vibe to your pool area.